It is such a huge pleasure to introduce you to Radha Melis. Radha is the founder of Make a Difference Tours (MAD Tours), a not-for-profit organisation that crafts unique tours and retreats throughout India. What makes MAD tours so special is that the tours directly fund education and empowerment opportunities for those who are less fortunate. I had the pleasure of photographing Radha’s most recent tour in March 2018 and can personally attest that it was one of the most extraordinary, expansive and beautiful travel experiences I’ve ever had! Hey Radha, let’s get to know you a little better. What do you like to do for fun? These days because life is so busy I sometimes need to remind myself to stop and make time for fun. My friends and I try to do this by scheduling active time together; we go for hikes or to sky-zone, explore op-shops and markets - things that get us moving and laughing. Travelling around India with you, it’s so clear that you have a deep affinity with this beautiful country. How did this love affair begin? Although India had never really been on my list, at 18 I found myself in Kolkata for the first time. There was something about the sights and smells and sounds that had me transfixed. I spent the next few weeks living in a little village in the middle of nowhere, my heart being plied open by the sweetness of the local people and the embracing wisdom of their spiritual heritage. I felt like I had come home. And I have done so every year since. You’ve created a wonderful philanthropic business, Make a Difference Tours (MAD tours). What was the catalyst that inspired you to launch this business? Having worked for a number of years with underprivileged children in Northen India, I had been wondering how I could make a bigger contribution to their lives whilst also keeping my (naive) promise to always be there for them. Then one day whilst thinking about something entirely different, the idea for Make A Difference Tours was gifted to me. I like to say gifted because it was as though it gently landed in my heart of its own accord. What can people expect when they come along on a MAD tour retreat throughout India? MAD Tours are carefully crafted to facilitate a beautiful exchange of energy between two cultures. Whilst experiencing the beauty and tradition of this sacred land and its people in a safe and comfortable way, you are also gifted the opportunity to give back. One of the things that makes MAD tours so special is the type of people who travel with us… exploring India with a group of beautiful like-minded souls adds a unparalleled richness to the experience. You’ve aligned yourself with incredible charitable organisations and individuals in India. What’s your process for deciding who to sponsor and support? Sadly, after my years working with non-profit groups I’ve come to learn that many organisations claiming to do good are in fact not doing so. For this reason, all of the organisations who we work with have been carefully selected based on their proven welfare outcomes. MAD Tours also directly sponsors the higher education of a number of children whom I personally know and have worked with during my years volunteering in India. MAD tours aim is education as a pathway for independent and sustainable living. Why is giving so important to you? When you make a personal connection to others, you realise we are all one, we are all alike, we all have the same hopes and fears and dreams and if I can share the blessings I’ve received in this life to ease the struggles of another, then I think my life will have been a success. What are your top 3 must see & do recommendations when travelling in Northern India? 1. 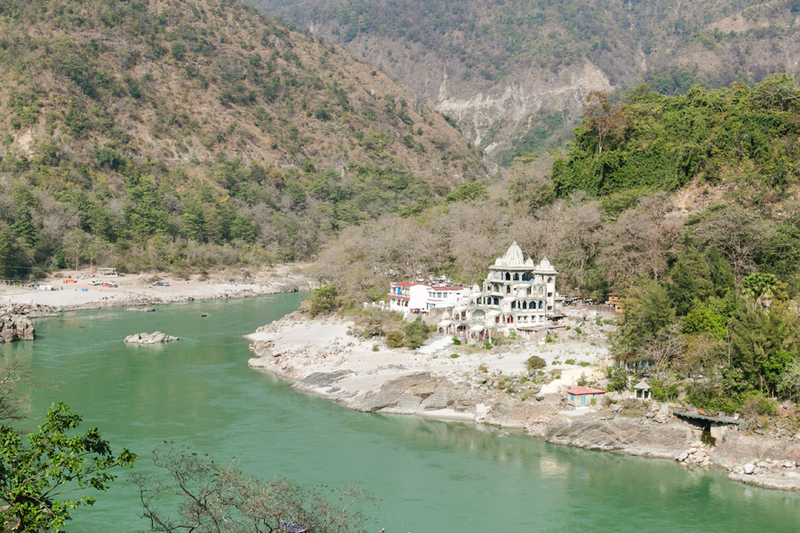 Holy Ganga River, Rishikesh - Flowing from the Himalayan mountains through the holy city of Rishikesh, she is affectionately referred to as “Mother Ganga” and considered to be a worshipable Goddess in her own right. When you sit by her clear, soothing waters, the world washes away and you feel engulfed by a deep sense of stillness. 2. Elephant Sanctuary, Jaipur - I’m an animal lover, so for me nothing compares to coming face to face with these magnificent animals. When they look into your eyes its as though they see your soul. 3. Amber Fort, Jaipur - This fascinating, sprawling palace is built like a maze with endless secret passages to explore and wondrous modern innovations from ancient times. Favourite food: Salad wrap with everything. On my bookshelf: Lots of memoirs and self development books. Fave book: How not to start an orphanage - Tara Winkler - recommend for anyone planning a volunteer experience. In my spare time you'll find me: Working on a new project. Dream holiday destination: India…haha! Or a beautiful beach somewhere hot! Would you like me to photograph your retreat? I'm available worldwide, get in touch for a personalised quote.